Jenoptik, at Photonics West, is demonstrating its service spectrum, from single components through to highly complex systems for semiconductor manufacturing, bio-photonics, and industrial processes. 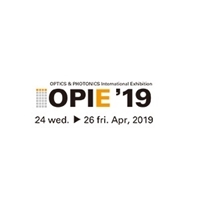 The new Jenoptik Light & Optics division, whose primary focus is supplying photonics solutions, is also showcasing its new strategy at the event. The division is thereby positioning itself as an international OEM partner for customer-specific solutions from concept creation through to series production. Jenoptik’s Light & Optics division will be highlighting its latest innovations for laser material processing. It will be showcasing its new technology demonstrator for 3D laser material processing as an extension to its motorized beam expander product range, F-theta lenses for additive laser processes, and a broad selection of highly efficient micro-optics, high-power 275-watt diode lasers, and advanced 1060-nanometer semiconductor lasers. Jenoptik is also one of the main sponsors of the SPIE Startup Challenge and is being represented in the panel of judges at the event. Applications Engineer Jim Hillendahl and Andrea Koertvélyessy, Business Development, will be judges for the runner-up and final rounds of the competition. Just a year after launching the motorized beam expander BEX-M onto the market, Jenoptik has announced its expansion of the motorized optical systems range with the addition of its line of fast focusing products. The new Fast Focusing Module (FFM) for use in laser production systems complements Jenoptik solutions for 3D laser material processing. Adjustable in its focus position, the new FFM is highly dynamic and can align the laser spot in Z-direction; hence three dimensions of the processing area can be addressed. To do this, the FFM needs to be used in conjunction with a 2D beam deflector (galvanometer scanner). The new concept approach of the FFM is a response to the industry's demand for even more efficient optical systems for 3D laser material processing. The system enables three-dimensional processing of materials with heterogeneous surfaces, for example for micro-structuring, for deep engraving or drilling with high aspect ratios, for laser cutting, and for marking and labeling different materials. For applications that do not require F-theta lenses, the FFM is able to offset the field of curvature and thus magnify the processing area when used in combination with the galvanometer scanner. Jenoptik has added two new lenses to the F-Theta-JENar Silverline lens series for high-power applications. With a focal length of 423 millimeters and a large scan field of 254 x 254 millimeters, the new lenses meet the requirements necessary for additive manufacturing processes such as 3D sintering. They are designed for applications with fiber lasers from 1030 to 1080 nanometers and diode lasers from 900 to 1100 nanometers at outputs of up to 6 kilowatts. The high-quality materials and the low-absorption optical coatings (absorption is less than 5 ppm), ensure permanently stable beam quality with the highest spot performance. In high-power application tests with lasers up to 6 kilowatts a minimum focus shift in fractions of the Rayleigh length was detected. These outstanding properties also ensure that production processes remain reliable and that the results will remain reproducible. The F-theta lens range from Jenoptik fulfills the requirements of almost all standard methods for micro and macro material laser processing. The lens series is extremely robust and do not require additional cooling, even at high laser powers. The adhesive-free mounting technology also contributes to the long-term stability of high-performance optics, and also provides long-lasting investment security. Jenoptik's diffractive optical elements, such as optical gratings, diffusers, beam combiners, and homogenizers, guarantee results that are accurate to the nanometer, even at high laser powers in the kilowatt range. They are optimized in their zeroth diffraction order and the quality of the structures and optical coatings guarantees long-term stability. The micro-optical structures are used in laser systems for processing different materials, but also in medical technology, for virtual reality applications, and in telecommunications. In the field of optical gratings, Jenoptik is gradually expanding its portfolio for various wavelengths and applications. The company is introducing new encapsulated pulse compression gratings for 800 nanometer applications, including scientific setups in spectrometry, laser pumping, lithography, and inspection applications. The gratings are optimized in transmission and wave front deformation, and reach efficiency higher than 99 percent. The gratings remain thermally stable even at high powers. Thanks to the encapsulation, contamination can be easily eliminated. Jenoptik is set to introduce new enhanced efficiency beam for diode laser applications. In addition to the classic pulse compression in femtosecond lasers and laser material processing applications, the e² (efficiency-enhanced) gratings are designed for use in telecommunications. Jenoptik offers its customers application-specific multi-focus elements, for example with 3, 5, 7 or 9 spots. These allow fast and efficient laser cutting in different layers of the substrate simultaneously, because of the accurate separations and energy distribution between the different spots. The optical design of the multi-focus elements allows for a wide range of applications through to 3D material processing. Jenoptik is also presenting its latest development in the field of high-power laser sources for industrial material processing, and in particular for direct diode laser applications. The new diode laser with passive cooling impresses with its extremely high output power of 275 watts and long service life in both CW and hard pulse applications. This represents a significant increase in output power compared to products which had been available on the market up to now. Jenoptik has succeeded in combining important advancements in connection technology with an innovative approach to heat management to guarantee reliability under hard pulse conditions, even with such high output power. The benefits are obvious: For manufacturers of laser systems in the kilowatt range, the complexity and costs of plants and systems are reduced due to fewer diode lasers being used. End users profit from both increased productivity and outstanding processing results thanks to the combination of high output power and excellent beam quality. Visitors to SPIE Photonics West can get the lowdown on the benefits of these high-power diode lasers before they go into series production in the near future. The Jenoptik 25 mm f/2, 400–1700 nm hyperspectral lens maximizes the performance of many popular SWIR (shortwave infrared) and hyperspectral cameras. A broad spectral range of 400–1700 nanometers combined with an adjustable diaphragm makes the new lens very versatile. The standard product lens will enhance image processing across medicine, industrial inspection, surveillance, and law enforcement applications.